As we close the door on each year it is always good to reflect. We all reflect in different ways and on different things, but one thing we all should reflect on is the things in our lives that we can be grateful for. Focus on the positive versus the negative. That doesn't mean to ignore the negative, instead confront it and do away with it. Rid yourself and others of those negatives. That said, let's get on to reflecting all the great movies of 2016! As an avid movie watcher one way I reflect on the year, what movies I watched. What I liked and disliked. Keeping a running tally of what I'm watching as the year moves on week by week and month by month brings me pleasure. Logging not only what I've seen, but what stood out to me. 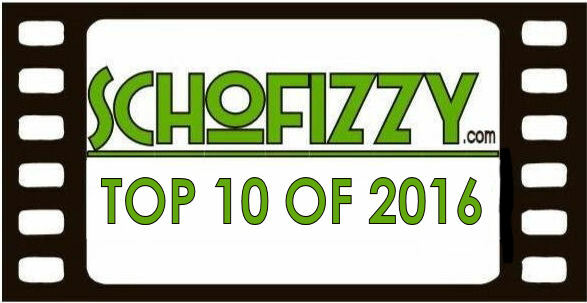 By the end of the year I generally have a substantial list of standout films that will be narrowed down into a Top 20. This is a process I've done annually since before starting my site in 2008. It is a practice that I intend to continue until the day I die. Not because ranking movies is important, but more so because it allows me a chance to reflect on what called to me over a year. Trends that were noticed. A chance to think about why a particular film spoke to me. What's the value I found in it? These lists are an easy conversation starter along with being a gauge on my taste(s) as an omnivorous movie watcher. We all have our own rules or qualifications for a year-end list and mine are pretty simple; a film must have had a limited release in New York and Los Angeles for consideration. Yes, this qualification leaves out films ONLY having runs at film festivals or foreign titles that have yet to find U.S. distribution within the calendar year. In 2016 I watched 242 movies, 96 of which are eligible to be included in this list by the qualifications listed above. 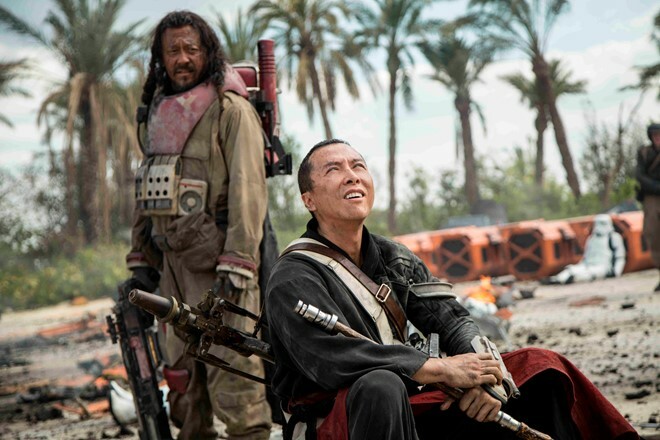 "Rogue One" is one of the best surprises of 2016. "A Star Wars Story" that shifts us away from our usual focus of Jedi and Sith in the Star Wars universe without abandoning the Force. Maybe because it is the first non-episode Star Wars movie? Regardless of my conjecture, I adore the departures away from our prior structure of Star Wars episodes. It's essentially a war movie that played right to the generation of first-person shooter gamers yet still fulfilling to us lifers. There's a central character in Jyn Erso, but it's a brand apart from what we are use to in Luke, Anakin, and now Rey. Her journey feels less about her own future like Luke and his father before him. Instead her journey is more fluid with the ultimate balance of the galaxy. It's one little piece versus a really big piece. That minimalism was incredibly effective for me. Like any good Star Wars movie I loved all the characters. Standouts were Chirrut Imwe, Jyn Erso, and K2-S0. Plus Disney gets major bonus points for giving fans a truly multi-cultural cast. Star Wars ensembles have a knack at working together but I really got a kick out of how this group worked together. Better was how the Force was used to delicately make everything come together versus a Jedi manipulating it. At inception I scoffed at the premise, an entire film based on one sentence from the opening title crawl in "Star Wars: A New Hope"? LOL. Little did I know that a whole movie about stealing the plans to the Death Star would end up being one of my favorite Star Wars movies to date. Taika Waititi is one of my favorite up and coming directors. You probably know him best from 2014's "What We Do in the Shadows," a hilarious mocumentary about vampires living in the modern age. 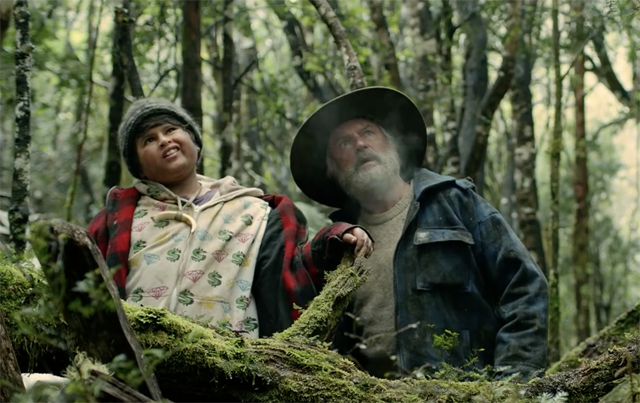 "Hunt for the Wilderpeople" marks his fourth feature film and follows a manhunt for a foster child and his uncle in the New Zealand bush. It is a journey movie. It is a coming of age tale. It is endlessly endearing story about a rebellious foster child and a grumpy man building a father and son like relationship. As a father of four it is easy to see why I associated with it, but Waititi's charm and comedic voice really add another layer that makes Hunt for the Wilderpeople a flick just about anyone should fall in love with. This is probably the best piece of storytelling Disney has ever put out. Why? It's progressive. Disney may have excelled at being progressive in animation, but they have struggled with it in storytelling. Sure, Disney has handfuls of excellent stories, but too many of them sold out-dated messages to children, more importantly to girls. 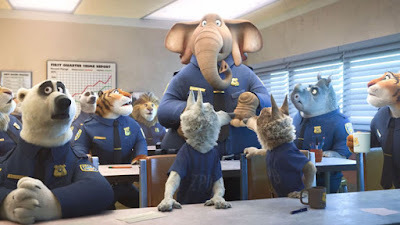 "Zootopia" is the exact opposite, it is progressive. Quite frankly it isn't a new story either, it is just a new story for girls. Boys have always been told they can be whatever they wanted, girls on the other hand had a much smaller list to choose from. Our society has unjustly denied rights to women and this film is a small part in righting those generational wrongs. It follows a bunny who wants to be a police officer, something society has deemed impossible. That reminds me of a little historical fact, prior to the Civil War women were not allowed to be nurses. Zootopia is Disney reaching their full potential and it feels great. It is nice to see the House of Mouse releasing stories that are promoting equality while still maintaining that Disney animation we grew up loving. One of my all-time favorite musicals is "Singin' in the Rain" and apparently I'm not the only one. 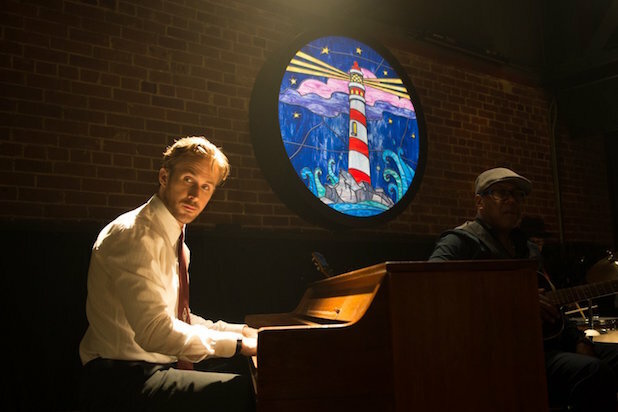 "La La Land" is a inspired nod to the Golden Age of Hollywood, Jazz music, following your dreams, and young love that isn't just nostalgia all dressed up. The musical pays tribute to what came before it while also smartly not just copying, it adapts to our modern complexities. It is a movie I'm hard-pressed to find a single complaint about. If I'm really reaching, it's that I'm a little tired of Ryan Gosling and Emma Stone, but that's incredibly hard to stand firmly behind because they are so undeniably delightful in their roles. In fact, they both shine. I wouldn't be surprised to see a demand for a series of movies with them together. The music throughout La La Land is catchy and works the desired emotions like a charm. The choreography is enchanting and the kind of stuff people will mimic. Combined they had me on the verge of happy tears the entire runtime. I often long for life to be like a musical, where people would just break out in song and we'd all know choreographed dance to go along with the singing and this movie confirmed again, I'm not the only one. The art of making music videos has been refined across my lifetime. Beyoncé changed the game in 2016 with "Lemonade." Lemonade doesn't follow a traditional narrative. Told through 11 chapters, Beyoncé weaves together her emotional and rocky relationship with Jay-Z. In between the 11 tracks she uses excerpts of poetry from Warsan Shire a Somali poet. The album alone is an exceptional piece of art from a pop star who hasn't shared much of her private life. The music, the lyrics, and the visuals are all extremely close to the chest for the pop star. The most personal and raw she's been in her career. Stripped down and pure to emotion. The film adds an entirely new level to the music matching its ferocity, despair, and inner peace journey Beyoncé takes us through. The content hit me on a personal level, mostly from a marital and parental point of view. Listening, seeing, and feeling her ultimate message on marriage, love, and parenting had me sobbing and reflecting how grateful I am for the life I have with my wife and children. Just when I thought I was bored of zombies, "Train to Busan" comes along and proves me wrong. It might legitimately be my favorite zombie outbreak movie ever. It has a super simple setup with great connectable characters and just chugs full-steam ahead for a totally effective ride (pardon the bad yet necessary pun). A big part of why it works so well is its setting. The train allows the film to feel confined and panic inducing but at same time allows for the idea of hope with each new train station they approach. For a horror film, it is an exceptionally well-rounded. Heart-pounding and terrifying, there's moments of hilarity to alleviate the looming burden of fear, and it unexpectedly hits multiple compelling emotional strides through its main characters protecting and turning on each other. Speaking of turning, watching people turn to zombie in this film is wickedly amusing and once the transformation is complete there is an instantaneous onset of restlessness and hold your breath trepidation. This is one I'll be re-watching more than I should, not to mention one I'll share with any and every so-called zombie fan I come across. 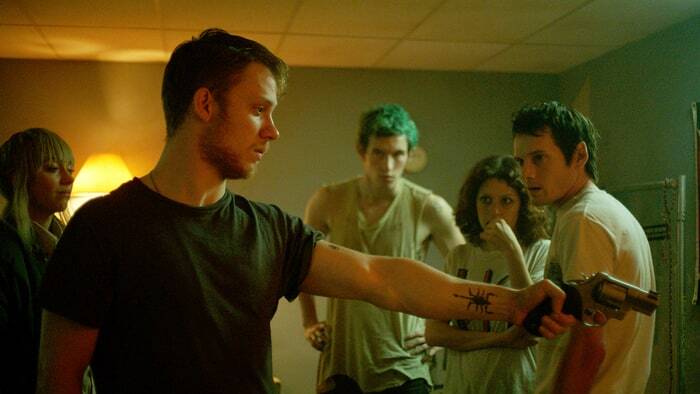 "Green Room" is the most taut film I watched in 2016. The horror film directed by Jeremy Saulnier follows an East Coast punk band on tour that gets in over their heads after playing a non-scheduled gig at a skinhead venue. What follows is white-knuckle tension at its finest. It is also a perfect reminder that horror movies don't always have to include zombies, paranormal demons, or psychotic killers. They can feature everyday humans that blend into the fabrics of our society and still be just as frightening and gory. Skinheads, who are immediately repulsing and probably aren't a group most of us run into on a regular basis, but they are out there menacing Americans nonetheless. Like most of the other movies in this year's list, the plot is very simple and very straightforward. Trapped in a room surrounded by people who want to kill you, how do you get out? It is a nice change of pace watching a horror movie like Green Room and not questioning every move the assailed make. Why did you go up stairs? Why didn't you run? etc. etc. This movie has its audience so ripe with fear there's never enough time to overthink what's happening or what could have been done different. The audience instead is solely worried about the future of the main characters. Lastly, we can take a little solace in the fact that one of Anton Yelchin's final performances is one of his best. Communication is important. Communication is extremely important. 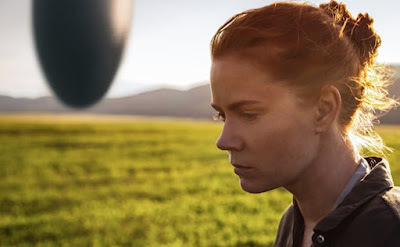 "Arrival" illustrates how important communication is through an alien invasion. Being about communication it's not an alien invasion like you'd think. There's no fighting, just talking. Understanding or trying to come to an understanding between two species from two different planets. At the same time it is a beautiful allegory about communication here on our own planet, between our own people, and resolving conflicts between the many nations. What makes this film so special is its layers. Using the easy onion analogy, this film has a lot layers just like an onion. Surface layer is an alien invasion. Below that is a layer about global communication. Under that is a layer about human understanding. The next layer reveals unconditional love. Another layer is about the harmony and balance in our collective lives. These many layers all blend together while working individually. It is absolutely poetic. All that and I haven't even mentioned the aliens, which are incredibly cool. Director Dennis Villeneuve does an impeccable job teaching the audience about the aliens little by little. At the start they are entirely menacing. Their presence would leave anyone shaking with fear. Slowly that fear is replaced with approachability and understanding, soon the alien species feels relatable. Arrival is the best alien encounter movie since "Close Encounters of the Third Kind." 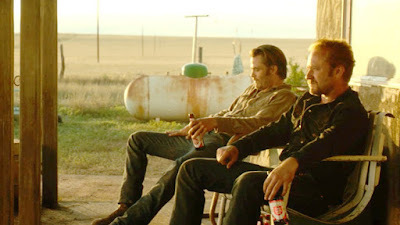 This is Robin Hood set in modern day West Texas. An authentic look at big money and big oil and how they've preyed on families living on oil rich soil across America. It's the little man sticking it to them through a series of thrilling bank heists. It is also a beautiful tale of brotherhood between two brothers and comradery among two Texas Rangers. It features my favorite performances by an entire cast in 2016. Chris Pine, Jeff Bridges, Ben Foster, and Gil Birmingham all vanish into their roles. Chris Pine in particular earned new respect from me. He delivers his most meaningful performance to date and makes you forget he's mostly done nothing but major studio fare. Taylor Sheridan's script and director David Mackenzie cover racial bickering between two Texas Rangers in a way that isn't offensive, yet it remains a glaring personification of the generational racism in our country. It is a balancing act that they pull off in a very nonchalant fashion. Truth be told the exchanges between Jeff Bridges and Gil Birmingham are side-splitting funny. Hell or High Water is the best example in 2016 of movie that excels at every fundamental of filmmaking. "Sing Street" is a endearing coming of age movie as well as a history lesson of pop music progression in the 1980s all wrapped into one. The simple setup follows an Irish teen who is moved into a new school and starts a band to impress a girl he has a crush on. It is about finding yourself and finding the best in others. It is about friendship and brotherhood. It is about following your dreams. It is the most upbeat movie of 2016 and puts a smile on my face every time I watch it, think about it, or sing along to its soundtrack. 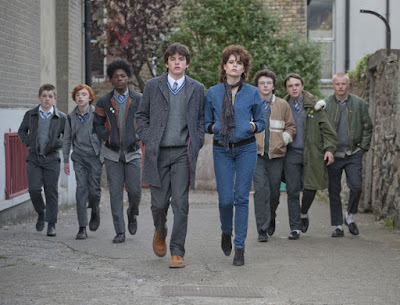 Sing Street furthermore has the best soundtrack of the year both in original songs and licensed material like Duran Duran's "Rio." It is pure happiness. There you have my Top 10 of 2016. What were your favorites in 2016? Oh and last but not least, happy movie watching in 2017!